A taste for new experiences and a yearning for adventure are the key concepts in the development and designing of the all-new redesigned 2019 Toyota RAV4. With emphases on style, performance and functionality, Toyota’s vision was the ultimate SUV that is equally suitable for both urban and off-road driving experiences. 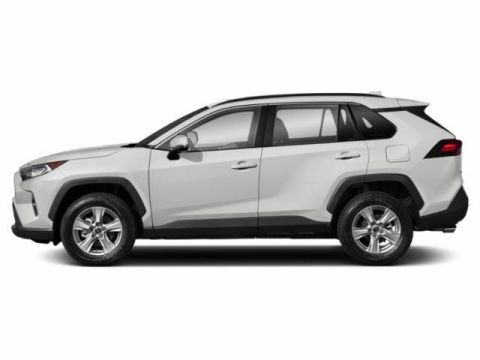 Designed with the Toyota New Global Architecture (TNGA) philosophy in mind, the new RAV4 has a longer wheelbase and wider front and rear tracks for a more stable and confident driving platform. Also a component of TNGA is improved visibility with increased visibility forward, side, and rear visibility by lower side mirrors, a lower beltline and larger rear-quarter glass. 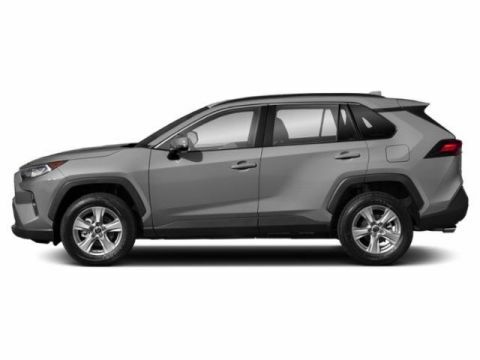 Such advancements that set apart the 2019 RAV4 include an exterior that meticulously combines robustness with refinement, improved handling stability and ride comfort, Dynamic Torque Vectoring all-wheel drive, and the second generation of Toyota Safety Sense. Additionally, RAV4 proclaims improved fuel efficiency and dynamism that encourages its drivers to go anywhere. #ChaseTheUnknown in the all-new 2019 Toyota RAV4. Toyota doesn’t restrict the impressive features to the interior of the compact SUV. The exterior is full of fun surprises as well with the addition of an attractive rear spoiler, LED lighting, front and rear parking sonar, power heated exterior mirrors with integrated turn signal indicators, acoustic noise-reducing front windscreen and rear and side privacy glass. Drivers can even add a foot-activated power liftgate with height-adjustment and jam protection for extra convenience. The 2017 Toyota RAV4 is powered by a 16-valve, 2.5L 4-cylinder DOHC powerplant mated to a 6-speed Electronically-controlled automatic transmission with intelligence (ECT-i) capable of generating 176-hp and 172 lb.-ft. of peak torque. In recent EPA testing, the RAV4 delivered efficiency of 23 mpg/city and 30 mpg/highway with the standard FWD and as high as 22 mpg/city and 28 mpg/highway with the available AWD drivetrain. Entune: The Entune multimedia suite allows drivers to connect their compatible smartphone for calling, music streaming, weather, and more. Drivers can even choose to add optional services like navigation, traffic, Premium JBL audio, and other services. Comfort and Convenience: Options like an auto-dimming rearview mirror, heated multifunction steering wheel, paddle shifters, power-adjustable seats with driver memory, Smart Key system, and remote entry with pushbutton start and remote power liftgate make the RAV4 easy to adjust to the driver’s needs. Cargo: Drivers have access to an easy-reach overhead console as well as up to 73.4 cubic feet of rear cargo space with the seats flat and 38.4 cubic feet with the seats up and the convenient tonneau cover in place. Bird’s Eye View: The standard backup camera may be upgraded to the new Bird’s Eye View camera system which offers a 360-degree composite view of the area surrounding the vehicle for optimum safety. 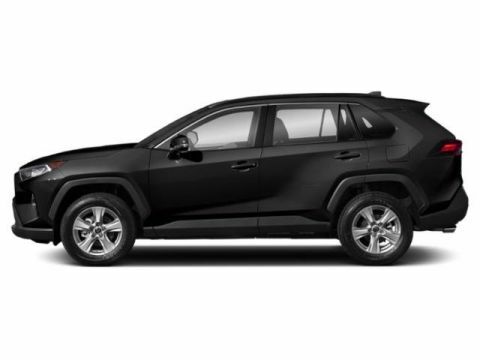 Star Safety: The RAV4 features Toyota’s Star Safety system, which includes Enhanced Vehicle Stability Control, Traction Control, ABS, Electronic Brake-Force Distribution, Brake Assist, and Smart Stop Technology. Driver Assist: Other exciting safety options include Blind Spot Monitoring, Rear Cross-traffic Alert, Hill Start Assist, Trailer Sway Control, and engine immobilizer to ensure that you remain safe, and your RAV4 stays with you where it belongs.